I cannot stress enough how important Daniel Bryan and CM Punk were to WWE and to professional wrestling. With the acquisition of these two future hall of famers and their impact on the WWE, they were the last two real stars that the WWE made in the PG/Reality era. As two of the biggest names on the independent circuit, Daniel Bryan and CM Punk validated their worth in the WWE through their technical ability as well as their ability to draw a crowd to respond to them. While the two have had a number of matches in the past, their three matches for the WWE Championship in 2012 were a masterpiece which helped bring a fresh flavor to the championship scene. In November 2011, CM Punk won the WWE Championship against Alberto Del Rio at Survivor Series. This victory would begin the 434 day reign as champion for the “Best in the World” and still stands as the longest championship reign in the modern era. Around the same time in December 2011, Daniel Bryan would cash in his Money in the Bank contract at the Tables, Ladders, and Chairs event on the newly crowned champion the Big Show to win the World Heavyweight Championship. While CM Punk would begin a feud with Chris Jericho over the WWE Championship on RAW, Daniel Bryan would begin to develop a heel persona through his on-screen relationship with AJ Lee as the World Heavyweight Champion. The two would wrestle each other for the first time in WWE on RAW in February as the WWE Champion and the World Heavyweight Champion respectively, but much was left to be desired. At Wrestlemania 28 the two would have very different nights, as Daniel Bryan would begin the event with an 18 second loss to Sheamus for the World Heavyweight Championship and a surprising YES! chant from the crowd. CM Punk however would have one of the best matches of the night, as he would defeat Chris Jericho for the WWE championship in a classic match later on in the night. 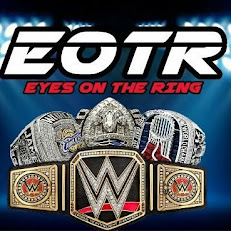 After the two finished their rivalries with Chris Jericho and Sheamus at Extreme Rules, their paths would cross. With Daniel Bryan earning the right to be the number one contender, the two would meet for the WWE championship at Over the Limit in May of 2012. The two put on a technical masterpiece as they wrestled a back and forth contest for over 25 minutes with CM Punk picking up the victory over Bryan in controversial fashion. Daniel Bryan would apply the Yes! Lock to Punk and while the hold was still applied, Punk would reverse the move turning Bryan over on his back. Punk would get the pin and immediately after tap to the Yes! Lock that Bryan still had applied on him. This controversy would play into a rematch down the line at No Way Out, however with the most unlikely of additions. Fresh off a very lackluster rivalry with Randy Orton, the Big Red Monster Kane would find himself involved in the WWE Championship picture with Daniel Bryan and CM Punk. Along with the addition of Kane, AJ Lee would find herself involved in this storyline through a personal interest in CM Punk and Kane, as well as her past history with Daniel Bryan. The addition of Kane and AJ Lee helped bring more intrigue to the storyline and helped add another layer to the match. The size difference Kane has over CM Punk and Daniel Bryan helped showcase the Big Red Monster as, well, a monster. The three men gave us a classic match as AJ Lee would interfere in the match and find herself knocked off the apron by Kane accidentally. This distraction would help Punk catch Kane with the GTS and pick up the victory while Daniel Bryan was knocked out on the outside. With Kane taking the loss, Daniel Bryan still found himself unable to take the WWE Championship from CM Punk. Going into their match at Money in the Bank, AJ Lee would become more of the focus as she would be the special referee in their match. The storyline going into the match was that AJ Lee desperately needed the attention of Daniel Bryan and CM Punk, however they were focused on the WWE Championship. Her involvement in the match overshadowed the title a bit, but these two still put on what some consider to be the best of their three championship matches. With the rules being a little bit more loose than they were in their previous matches, Bryan and Punk had more room to work with foreign objects. AJ Lee would leave the match early as she would head to the back after being knocked off the apron, and this definitely helped the focus return to the two men fighting for the championship. Most of the match was contested on the outside, as the referee just watched as both men would brawl throughout the entire ringside. Just like their match at Over the Limit, the action was back and forth through the entire match as both competitors left everything in the ring. Towards the end of the match, AJ Lee would return after a superplex from Bryan to Punk. From there, the match would get even more brutal as she would leave a chair in the middle of the ring for which Bryan would pick up and hit Punk repeatedly with. The match would finish with CM Punk putting Daniel Bryan through a table with a backdrop off the top rope and AJ Lee counting the pinfall. While this would be the last pay per view match for the two, it definitely was not a sour ending to the rivalry. Punk would continue his historic reign as champion through the rest of the 2012 while Daniel Bryan would become tag team partners with Kane, form Team Hell No, and capture the WWE Tag Team Championship. While there was much left to be desired out of both wrestlers’ careers, fans were more than happy to have this trilogy of matches for the richest prize in all of sports entertainment. CM Punk and Daniel Bryan are often seen as the trailblazers of the Independent circuit and this trilogy of matches definitely helped pave the way for the talent we see in the WWE today.